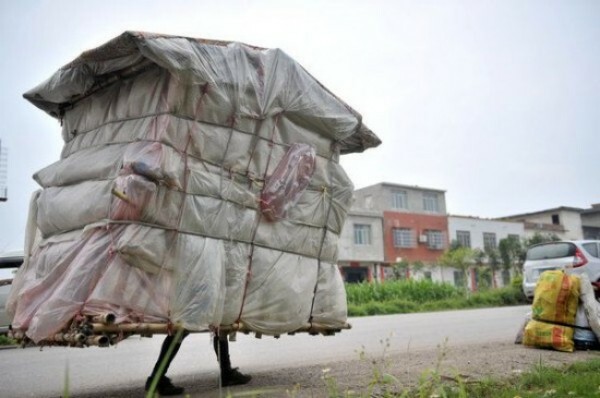 The 38 year old Liu Lingchao truly lives like a snail man, since he carries his house on his back everywhere he goes! 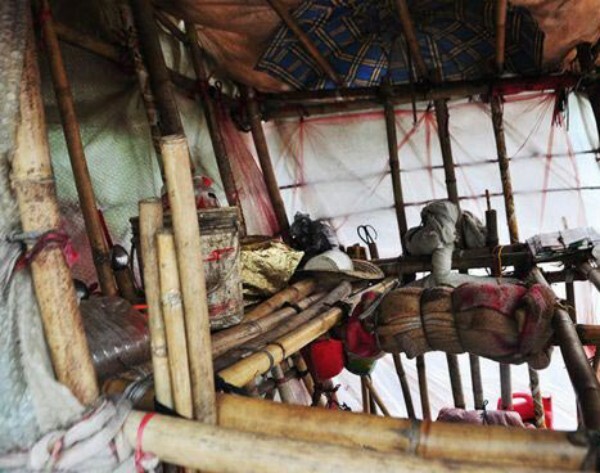 Made from bamboo and plastic, the portable home that weighs about 60 pounds, offers refuge to the long journey of Liu inside China. 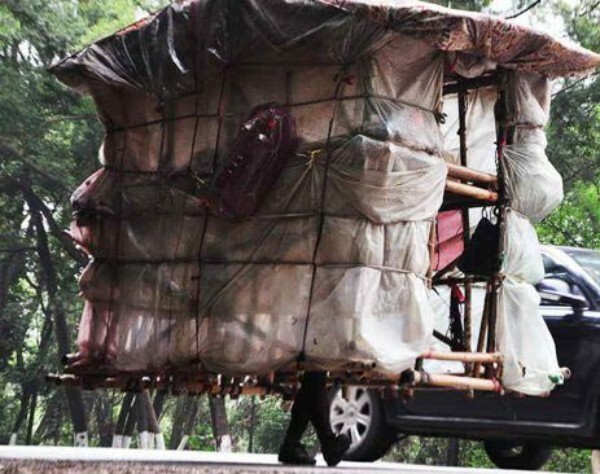 The reason: The young Chinese man collects plastic items from the streets of Chinese cities and then sells them. He build his first mobile home 5 years ago to save money while ensuring the protection from the cold and rain. 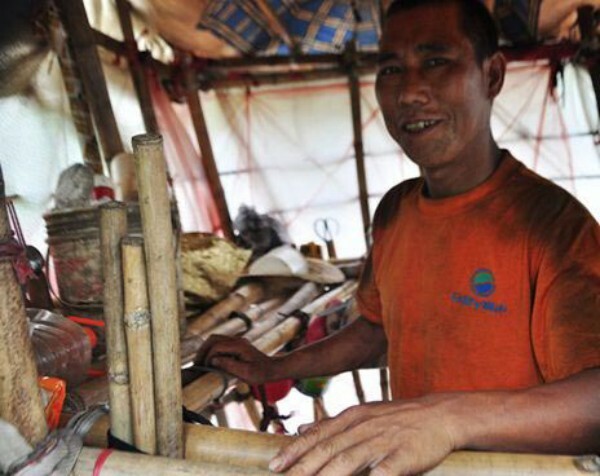 Since then he has constructed three portable houses, each of which offered him enough space for a bed, as well as covering the basic needs of his journey, he says. I feel free wherever i go and i stay where i want. I don’t have to think about money, nor how to move from one place to another. It is certainly time consuming this kind of movement, because as i move like a snail or turtle, i enjoy it and i would not change anything.